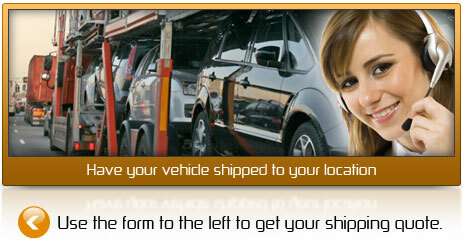 E-CarOne offers a fast, simple and convenient way of taking delivery of your new vehicle. Arrangements can be made to have your new purchase delivered to your front door using our preferred shippers. Using an E-CarOne preferred shipper ensures superior, dependable service and best of all; a great price. Our customers are always welcome to arrange there own shipping and transportation needs; we would be happy to assist and ensure a quick and trouble free delivery. please Contact a member of our online sales team if you should have any questions. *Shipping rates will vary based on current fuel prices. Quoted Prices are based on mid-size sedan (BMW 5 series). larger vehicles add $100-$300 USD depending on make & model. Please note that customs broker fees may apply. E-CarOne can arrange shipping as a value added service only. and has no affiliation with the shippers. All after sale shipping questions and/or concerns should be addressed directly to the shipper. Shipping charges are buyer's responsibility. Oversized vehicles, trucks and vans require a custom quote please contact us.